How's this for a great old picture of Tacoma's 6th hole. One of the interesting things about the routing at Tacoma is that #6, #7, and #8 have always been #6, #7, and #8. All the other holes on the course were at one time a different number. Anyway, this picture was taken in 1984 and if you look close you can see that back then you hit from what is today the 18th tee. The hole played this way for over 80 years. 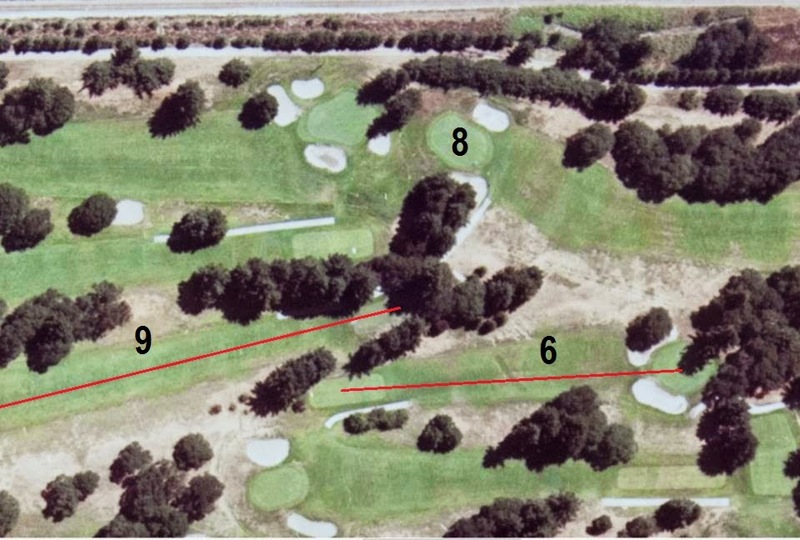 In 1989 the course underwent a major revision with the construction of the practice range and what is today holes 13 -15. As part of that revision, the hole remained #6 and the green remain unchanged, but the tee moved to what used to be #9 tee. Check out this 1979 aerial picture of the course. You can see that originally the 9th hole was what today is the 18th hole and you teed off from today's 6th tee. Now I don't have an old picture of how the original 9th hole looked but that's okay since due to the most recent, award winning renovation, I have a new picture of it. Look here. This picture was taken during the Member Guest. For one day of the event, the tees are moved to their nostalgic positions and the holes are played the way they were laid out originally. 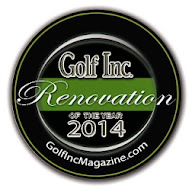 This has been done for the Senior Member Guest also. 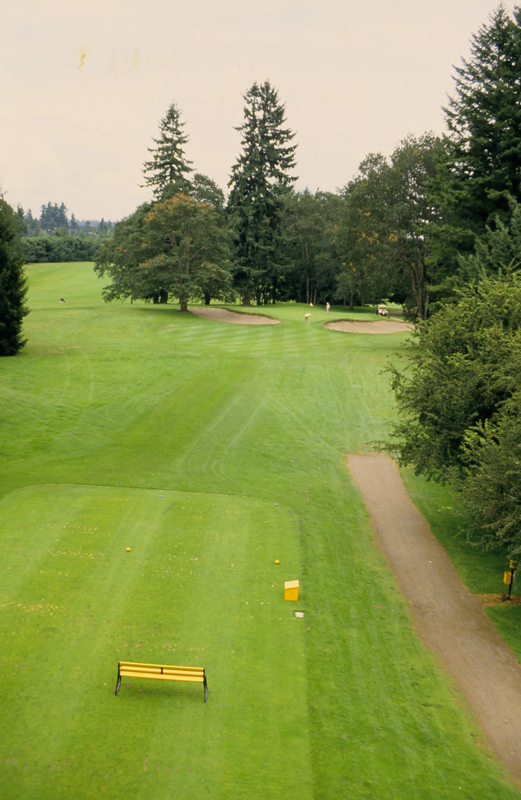 Considering how old the links are at Tacoma, when the tees are positioned like this, you're playing two of the oldest golf holes west of the Mississippi River. That's pretty cool. So now I've been asked several times why it is we don't switch the tees like this more often. The answer to that is simple. Currently these historic tee positions only exist from the blue tees. Since on a normal day there is play from every tee, it wouldn't work to just reverse the blue tees. But don't worry, the current golf course master plan includes restoring the old teeing grounds so the original routing in this part of the course can be played any time. 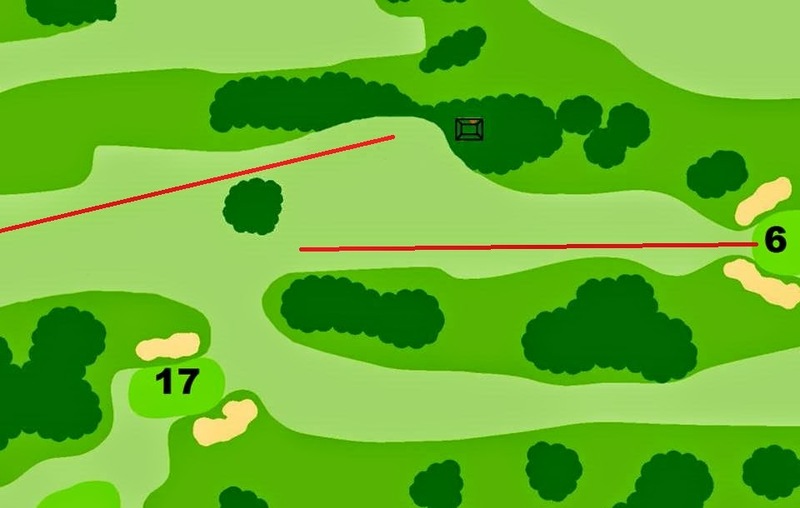 Look at this diagram of the teeing grounds. 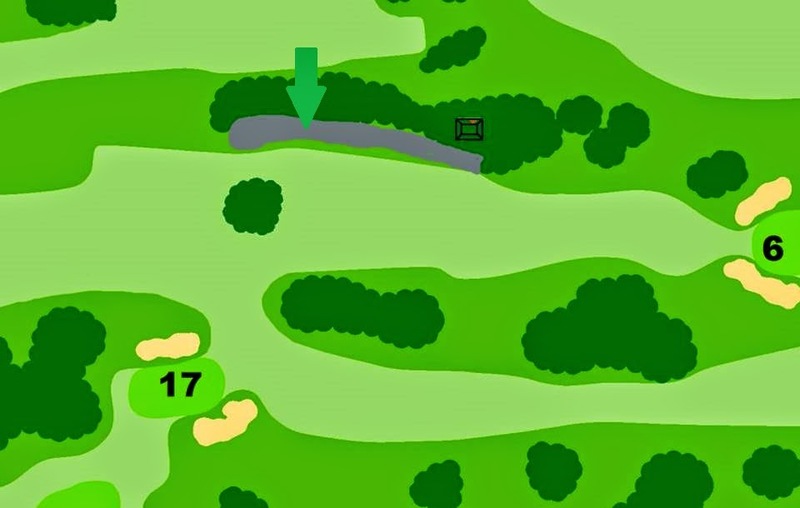 That green arrow is pointing to what represents one of the last remaining cart paths on the course which is adjacent to the teeing grounds and restroom facility. The plan is to remove this path as we have done to almost all the paths on the course. In its place will be the new championship tee for the 18th hole when the tees are placed in the original configuration. This area is exactly where the original tee was so it will be a true restoration effort. Below is how it will look once completed. or the routing which the Club's founders laid out over 100 years ago as diagrammed here. This will truly be a unique area that will allow all players the opportunity to enjoy a wide range of angles and yardages for the two holes. I've played several courses where teeing grounds for two holes shared the same location, but none was like the special experience a player will have here at Tacoma if this project is completed.